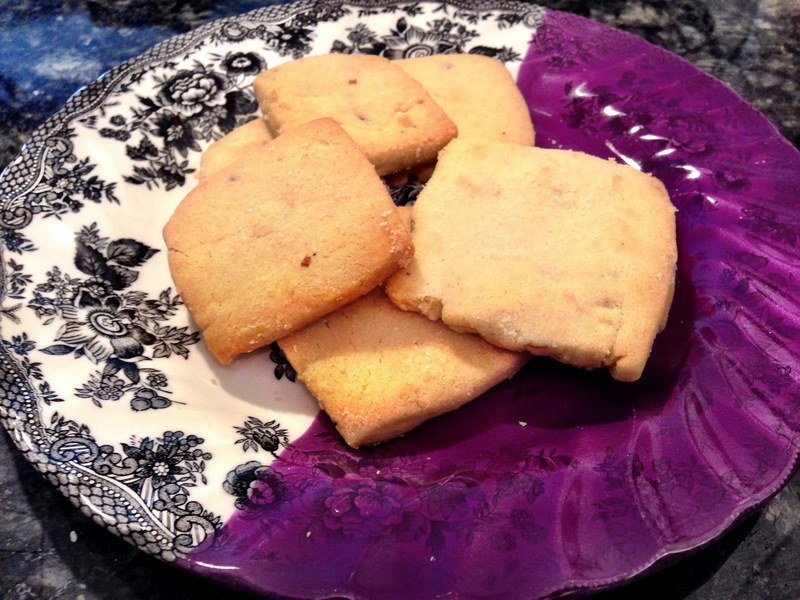 Shortbread Cookies with Almonds and Cardamom – One Half Indian. I spent Father’s Day with my husband’s family. My father-in-law was out of town, but my brother-in-law, Jiju, was around. I want to make him something small to honor him on his day. I waited until late Saturday night to really start thinking about what to make, so I wanted to make a sweet from ingredients I had. 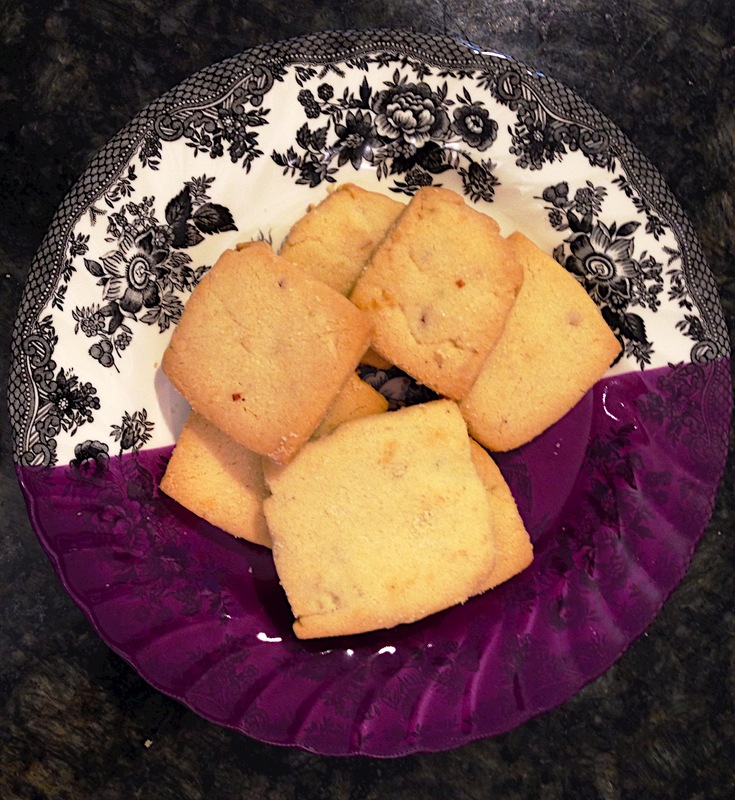 I loosely based this recipe off of Ina Garten’s Shortbread Cookies Recipe, but I made several substitutions and changes based on reviews and what I did not have. I did not have a cookie cutter, so I cut these cookies by hand. They look a bit messy, or “rustic” as my husband keeps telling me, but despite the “rustic” look, everyone who has tasted these cookies so far has loved them. They are a home run, and I will most definitely be making them again soon. With this dough, make sure to thoroughly mix all the ingredients. I ran my mixer a few extra seconds in each stage to be sure. If ingredients are not all properly incorporated, then your dough will be crumby and hard to work with. The dough is already somewhat crumbly since it is a shortbread dough. Also, be sure your butter is soft. I left mine out and even put it in the microwave for 10 seconds to be sure it was soft throughout. This will also help your dough be the correct consistency. I used salted butter for mine because that is what I had around. If you have unsalted butter, just use a 1/4 tsp of salt in the recipe. 2. In the bowl of an electric mixer fitted with a paddle attachment (I used my KitchenAid), cream the butter and sugar. Be sure the ingredients are fully combined. 3. Add sifted flour and cardamom powder to the bowl. Mix on low speed until the dough starts to come together. I mixed about 30 seconds to 1 minute past when my dough started coming together, and it came together even more. The dough was mostly in one large ball by the time I removed it from the mixer. 4. Dump the dough out onto a floured surface. Shape the dough into a flat disc, cover the dough with plastic wrap, and chill in the fridge for 30 minutes. 5. Remove the dough from the fridge. 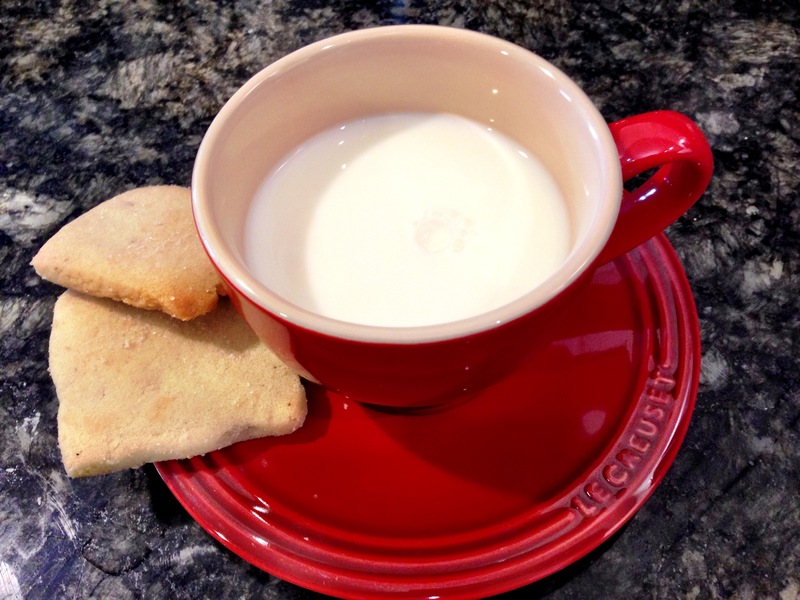 Unwrap and return the dough to a floured surface. I only took half the dough at a time for rolling and kept the other half in the fridge. Roll the dough out about a 1/4-1/2 inch thick. Mine were about 1/4 inch but Ina suggests 1/2 inch. 6. Use a square cookie cutter or just use a pizza cutter to cut the dough into rectangles. I tried rectangles, but mine were pretty much squares. Whatever works. The shape is not that important. Be careful cutting as the almonds are throughout the dough and may need careful cutting wherever they are. 7. Using a spatula, lift the cut dough onto an ungreased cookie sheet and sprinkle with sugar. Bake for 15 minutes or until edges begin to brown. (Depending on the size and your oven, you may need more or less time. Ina suggested 20-25 minutes, but my cookies were smaller and thinner than hers). 8. Remove the cookies from the sheet and allow to cool to room temperature. Makes about 35 cookies cut into 2inchx2inch squares.